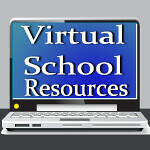 Virtual School Resources: Enter to win a Literature Lapbook from Knowledge Box Central! Enter to win a Literature Lapbook from Knowledge Box Central! Beginning today, you can enter to win a Knowledge Box Central Literature Lapbook! All you have to do is enter on the Rafflecopter below, telling me what book your child will read first to use with this great literature tool. All the planning has been done for you! Just pick up a few supplies at your local Walmart or office supply store, print, and begin! One entry per person, one winner only! Contest Friday, May 18th and Saturday, May 19th. Winner will be notified by Monday, May 20th. Good Luck! For more rockin' contests, visit Contestgirl! Our winner was Melissa Sack! Congratulations, Melissa! 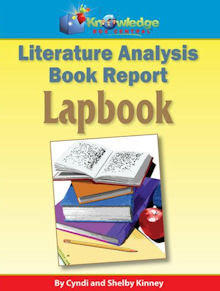 Enjoy your lapbook! You can visit Melissa at Sack Family Adventures! I think we would try it with Peter Pan! Good one! That would be adorable! Probably one of the Narnia books.